Two and a half years ago, Carey Swift was inspired to leave her job as a regional call centre manager to open a CrossFit gym. While she enjoyed the challenge of management, she was ready for a career that would be more fulfilling. “Although we’re not changing the world, we are giving people the opportunity to change their life,” said Swift, owner of CrossFit Moirai. “If we can help someone become healthier, give them an outlet to get rid of stress, make new friends, or inspire them to improve their lives, that is the fufillment I need in my day to day,” she said. Swift’s love for CrossFit evolved when utilizing the workouts to cross train for a marathon. Working out in Calgary, Swift found the CrossFit methodology to be the most effective workout she’d ever done. More importantly, the CrossFit gym offers a fun and goal driven atmosphere for people of any age and ability to pursue their fitness goals. “We have members who are 75 years old, and members who used to be elite competitive CrossFitters; all in the same room, working out, sharing the experience,” she said. Swift and her husband moved to Chestermere two years before they opened the gym. In that time she has grown to really appreciate the feeling of community here. 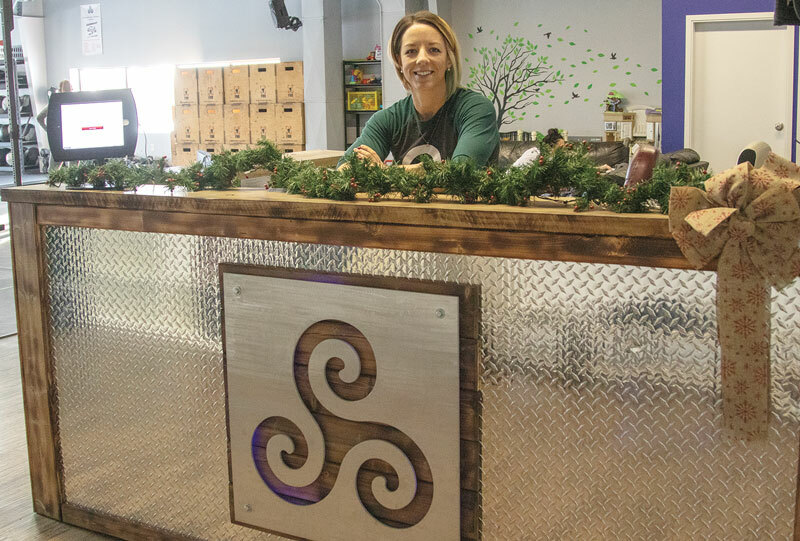 Her goal at CrossFit Moirai is to foster that same kind of community connection in the gym. As is a familiar story for most new business owners, Swift spends the majority of her time running the business and making sure her vision is fulfilled. “Since opening the gym I have worked harder and longer than I ever have in my whole life,” she said. “But the really nice thing about owning my own business is t the hours I work are on my terms,” said Swift. What time she does have for leisure is spent with her two children. “Any time that I’m not at the gym is family time,” she said.